One person’s freedom only extends so far as it restricts another’s. 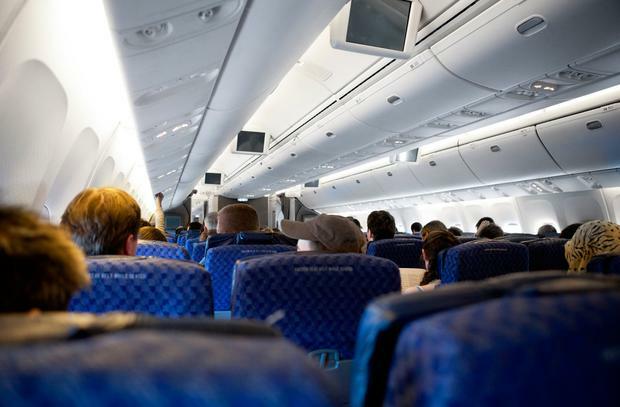 Your right to recline a plane seat as far back as your shoulders can heave it – which my colleague Annabel Fenwick Elliott believes to be acceptable – directly impacts my right to those precious few inches of breathing space between my face and the tray table. In an age where we as a society have collectively agreed to sell our entitlement to the luxuries of the Golden Age of Flying in exchange for €30 flights to the south of France, that distance between two rows of seats is basically all we have left, and I’ll be damned if someone else is going to take it away from me because of a perceived sense of comfort. Perhaps this is what annoys me so much about the person in 18B to my 19B when they lunge a seat into my personal space: the return on their seating position is so minimal as to be realised only in the mind. No one feels waves of relaxation wash over their being when they steal those three degrees of recline, they just enjoy the sensation of knowing they can. This could be because at 6’2”, it takes more than a slight lean for me to find solace on a Ryanair flight. But for my mind, searching for gratification in that little button on your arm rest is not worth the selfish guilt of knowing full well that you are snatching someone else’s space. You have literally pilfered a percentage of my territory. It’s a land grab. It’s the quiet annexation of my northernmost boundary. This is before food and drink even come into play, which barely feels necessary to mention given that everyone knows the hunched agility required to navigate a beef casserole at 38,000 feet, without your dining table been driven into your solar plexus. 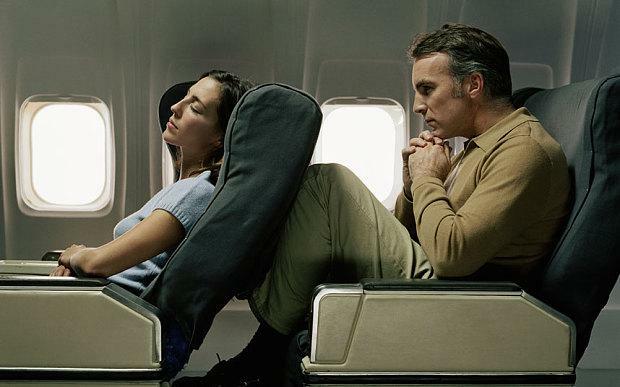 Move the scenario away from flying to parallels outside the plane and the answer to the question of whether it is acceptable to recline your seat becomes yet clearer. At a restaurant were you feeling particularly peckish after a long day of barging into other people’s personal space, you would not top up your portion of chips from a neighbour’s plate. Would you spread your belongings beyond the half-way mark of a shared table on a train, into your fellow passengers’ domain without a negotiation? At a gig, finding the best view of the band is a mutual operation, whereby fans engage in a quiet shuffle to acquire a full view of the performers without actually standing bang in front of someone else. In a 2002 episode of British sitcom Black Books, Fran, played by Tamsin Greig, has her flat reduced in size after her landlord, Johnny Vegas, particularly taken by her charming neighbour, shoves the partition wall a few feet to afford the object of his affection a little bit more space during a heatwave. On discovering the invasion, Greig is rightly aggrieved that one person’s comfort has been heightened at the expense of hers. Returning to the idea of society’s collective quest for ever-falling air fares, flying has never been more about solidarity. We all executed the same barter: cheap flights for crammed cabins, no luggage and seats rows away from our loved ones. We share the buzz of reaching our destination, of enduring the ills of a budget airline or third-rate airport. We board together, we disembark together, and in the intervening hours, we’re shoulder to shoulder, both figuratively and literally. Thrusting your seat back into someone else’s space breaks that social contract. Admittedly, asking to do so is far better than not, and just about makes it acceptable, maybe, but even then, I would like to see a doctor’s note. No one with a shred of awkwardness would be able to say no. But who would want to put anyone in that position? Your travel expert: How can holidaymakers protect themselves against airline strikes? Pól Ó Conghaile This is turning into a hellish summer for holidaymakers. We’ve had Irish Ferries cancellations and French Air Traffic Controller strikes. John Cradden If you’re holidaying at home this year, the fine weather we’ve been enjoying is likely to have whetted your appetite for the outdoor life. Ryanair Explainer: When are the strikes? What happens if my flight is cancelled? Pól Ó Conghaile Irish-based pilots have voted to strike in what Ryanair says is an ‘unnecessary’ action. Here’s an explainer to get you up to speed.